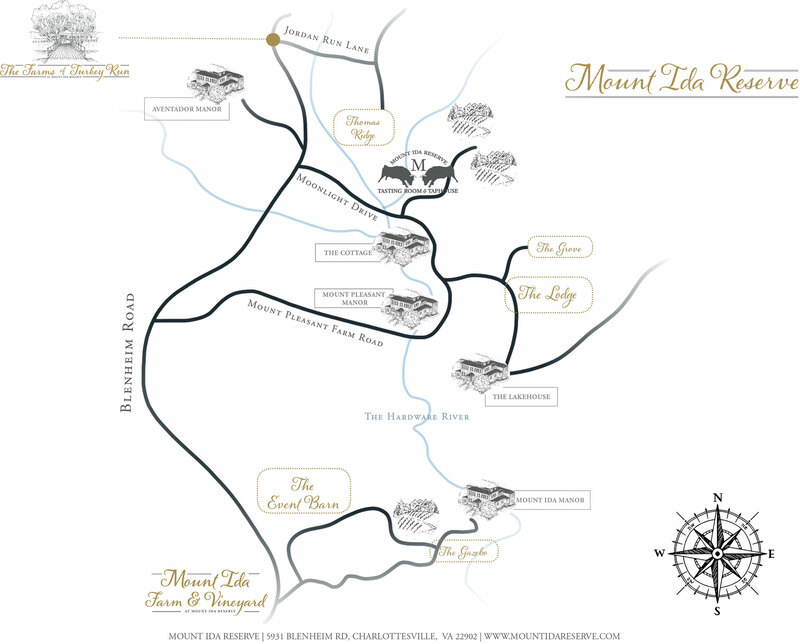 Mount Ida Reserve’s 5000 acres are situated along historic Blenheim Road in Charlottesville, Virginia. The Lodge and The Event Barn along with their coinciding destination rentals are available to tour by appointment only seven days a week. Call 978-741-0049 or email ksullivan@mountidafarm.com to schedule your visit. Find out more here. COMING SOON! Stay posted for our hours of operation. Find out more here. To schedule your visit to The Farms of Turkey Run call 434-566-5562 or email info@turkeyruncville.com. Our neighborhood is available to tour seven days a week. Find out more here.